For decades, thanks mainly to prohibition, the benefits of marijuana received little research. However, with different states and countries – most recently Canada – moving to full legalization, things seem to be looking up. We can arguably thank these changes to increased research and the acceptance of medical cannabis. While experts did find some risks, they also found the benefits of marijuana outweigh them tenfold. Like most medication, safety is a matter of moderation and proper use. Honestly, with all of our medical technology it’s hard to believe that a simple plant offers so much medicinal value. As new studies come to light the list of physical, psychological and neurological conditions treatable with marijuana continue to grow. If you suffer from a chronic condition, it’s a good idea to see if the benefits of marijuana will help improve your quality of life. How Do We Experience the Benefits of Marijuana? While we know a lot about the mechanisms of marijuana, the plant’s use as a medicine is far from new. In fact, there is conclusive evidence that it was used as far back as 5,000 years ago in what is now Romania; however, its cultivation dates back to around 12,000 years ago in Asia– right at the dawn of agriculture. As a medicine, pain relief appeared to be marijuana’s primary role, with societies using it as an anesthetic around 4,000 B.C. But, societies are also on record as using it to stabilize mood and alleviate various gastrointestinal issues. Between 2,000 and 1,400 B.C., cannabis made its way into the Middle East, where it was picked up by nomadic tribes who brought it into the country we know todays as Ukraine. After that, it reached Africa in around 800 C.E., hit South America by the year 1800, Mexico by 1900 and, finally, North America by 1920. Once in North America, cannabis became a staple in many different medicines. Unfortunately, it wasn’t long until Canada banned it for unknown reasons in 1923, followed by the U.S. in 1937. While cannabis isn’t a “cure-all,” the benefits of marijuana span more medical conditions than any pharmaceutical drug. Ironically, it may be the first arguably naturopathic remedy that actually works. The endocannabinoid system is a relatively new discovery, but it’s the key to the cannabis riddle. Put simply, our bodies produce natural cannabinoids, regulated by the endocannabinoid system. The functions cover things like mood, pain and digestion (among others). Any imbalance within this system can lead to issues in the aforementioned areas. By adding THC, CBD and other cannabinoids through marijuana, we basically supplement any lack of cannabinoids in our system. Think of it as taking multivitamins to supplement nutritional deficiencies. Once in our system, the THC and CBD act upon certain receptors, aptly called cannabinoid receptors. THC receptors are primarily located in our central nervous system, hence the high. CBD receptors, on the other hand, affect areas outside our central nervous system. This is why CBD has no impairing effect. By now, the various neurological benefits of marijuana are quite clear. While most chronic conditions in this category have their own treatments, the medications used are typically limited to one or two specific issues. Naturally there will be exceptions, but nothing is as all-encompassing as cannabis. Even when patients’ conditions are controlled, the conventional treatments can lead to side effects. These range from minor inconveniences to major changes in behavior, awareness and coordination – to name a few. That being said, it’s no wonder so many people with severe neurological issues often refuse to medicate. The worst part is that these conditions are usually severe, such as bipolar or schizophrenia. With this in mind, let’s see how medical cannabis can help. Epilepsy is a chronic neurological disorder caused by increased, irregular electrical activity in the brain. While the mechanism is the same, the causes do vary. Injuries, scarring and tumors are all capable of causing recurring seizures; however, the vast majority of cases have no known cause. Conventional anticonvulsants often work to partially or fully control the condition, but often with side effects. However, in recent years, the discovery of CBD led to research into its effects on epilepsy. Although little is known about its effects on generalized epilepsy, those with severe seizure conditions are a different story. Finally, researchers admit CBD’s potential for treating Lennox Gestaut Syndrome and Dravet Syndrome – two debilitating and often untreatable forms of epilepsy. Parkinson’s disease is a neurodegenerative disorder. This means that it slowly wears down a patient’s neurological functions, specifically relating to movement and, eventually, cognitive function. Currently, PD affects between 7 to 10 million people worldwide. Unlike other conditions on our list, the benefits of marijuana on Parkinson’s Disease are mostly anecdotal. Regardless, these anecdotes are substantial and all address how cannabis helps PD patients reduce tremors associated with the disease. However, there is much stronger evidence to suggest that cannabis acts as a neuroprotective, essentially guarding the brain’s neurons from damage. This is huge, considering that PD’s very mechanism is neurological degeneration. Attention deficit hyperactivity disorder (ADHD) is a neurological condition that affects 6%-9% of children and 5% of adults worldwide. People with ADHD often have serious issues focusing or remaining still. This can lead to serious complications, especially with school, work and relationships. Some individuals report the benefits of marijuana for treating their ADHD. Although research is inconclusive at this time, many individuals who self-medicate claim that cannabis helps them. ADHD occurs due to an imbalance of dopamine levels in the brain. Since marijuana triggers the release of dopamine, researchers theorize that this temporarily fixes this imbalance. However, not enough evidence is available for doctors to confidently recommend medical cannabis in treating ADHD. Depression is one of the most widely-known and debilitating mental illnesses. Affecting around 300 million people globally, this condition creates a variety of symptoms. Patients go through periods of hopelessness, sadness, irritability and suicidal thoughts – to name just a few. As if these feelings aren’t disruptive enough, the medications assigned to treat depression often produce awful side effects. This basically leaves patients to choose between living through their condition, or feeling constantly ill.
Now, we know that marijuana alleviates the symptoms of depression, as many strains naturally enhance mood; however, the relationship between THC and depression is a delicate one. While low doses of THC are effective in helping depression, high doses can actually make it worse. In order to avoid making the condition temporarily worse, use low-THC/high-CBD strains that are known to have uplifting effects. Typically, these are advertised as “sativas,” but not all follow the same pattern. If you plan to use cannabis for depression, research the strain first. Another common mental illness, chronic anxiety affects roughly 275 million people across the world. Marked by a feeling of constant restlessness, anxiety patients often experience periods of fear, uncertainty and panic. These lead to further issues, like increased heart rate, trembling and hyperventilation. Like many other conditions, the medication used to treat chronic anxiety can be unpleasant, to say the least. However, anxiety is one of the easiest conditions to treat using medical marijuana. 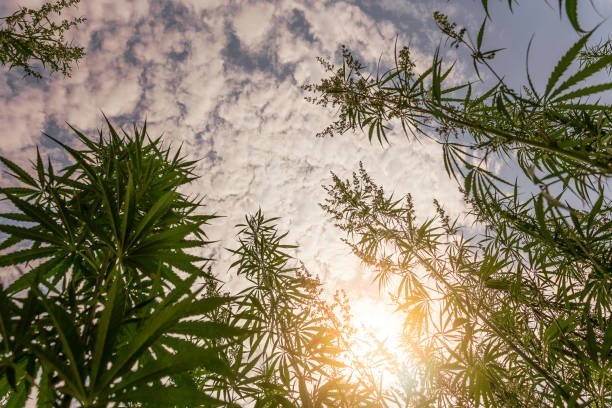 The calming physical and cerebral effects of THC, along with the relaxing benefits of CBD, make cannabis an excellent choice for reducing anxiety and its symptoms. You do need to take into consideration that high THC strains can increase anxiety and this is why, for those suffering with anxiety, it is important to balance with CBD. Post traumatic stress disorder (PTSD) is a condition caused by severe trauma. It occurs when an individual goes through a stressful experience for which they are unable to cope. This is particularly common among veterans (colloquially referred to as “shell shock” in both world wars), because harming others is typically against our nature, as is watching people suffer. However, it can affect anyone who’s been in a frightening or life-threatening situation, such as an accident, sexual assault or kidnapping. Police officers and other first-responders are also vulnerable to this problem – the post-9/11 effects being a huge contributor for many. 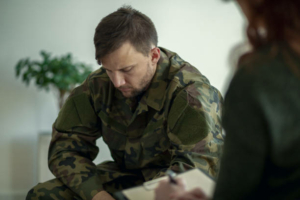 Those with PTSD suffer from a variety of symptoms, including panic attacks, insomnia, night terrors, depression and anxiety. This can often lead to breakdowns or violent outbursts that affect everyone around them. Since marijuana already helps treat depression and anxiety, this covers two major symptoms; however, the calming effects also allow PTSD sufferers to enjoy better sleep and a more balanced mood. The benefits of marijuana span a wide range of physical health issues. 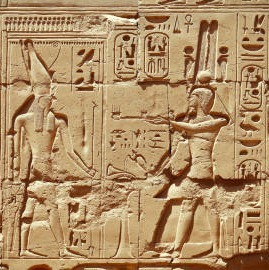 It’s what caught the attention of physicians and political figures as early as around 2700 B.C. From diseases to gastrointestinal issues and other upsets, cannabis was – and still is – a medicine with a broad range of benefits. “Pain” is a rather broad term, but it’s simply impossible to list every potential cause of pain along with the benefits of marijuana. In the end, the mechanism and effects are the same. Put simply, individuals use medical cannabis to handle discomfort from migraines, musculoskeletal pain, inflammation, arthritis and fibromyalgia – although this list is just the tip of the iceberg. The two main cannabinoids in marijuana – THC and CBD – are both effective at treating pain. Anecdotal evidence on this is massive on its own, however research all but seals cannabis as an effective analgesic. Whether it’s nerve pain, injury, or part of a larger medical condition, patients fare well with cannabis to treat severe pain. This is especially good news for individuals who would otherwise have to take prescription opiates. Inflammation is a very common symptom, associated with both temporary and chronic conditions. From sprains and strains to arthritis; inflammation is a source of severe discomfort for many people, especially since it’s usually accompanied by pain. In terms of relief, cannabis is able to fight a war on two fronts. First of all, both THC and CBD help patients deal with the pain. At the same time, cannabis reduces the inflammation to aid in both relief and healing. 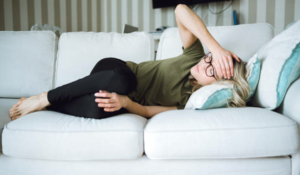 Although we did cover pain in a general sense, migraines deserve special attention, as many may not be aware of cannabis’ ability to treat them. Migraines are extremely difficult to deal with, as they’re marked by severe head pain, light sensitivity and nausea – to name a few. Worse still, these can last for days. Some people’s migraines occur after a certain “trigger,” while others are random. Onset can be sudden or gradual, often accompanied by warning signs or “auras”. In many ways, migraines are quite similar to epilepsy in terms of their onset and behavior. Although studies about migraines and cannabis are limited, they show promise. Research so far shows that cannabis is effective at not only helping with migraine symptoms, but preventing them as well. Nausea was one of the first symptoms to shoot medical cannabis into the spotlight. It was particularly popular for cancer patients undergoing chemotherapy. THC and CBD both reportedly help with nausea, but it appears that THC is what takes it one step further by stimulating hunger. To that end, THC takes a two-pronged approach. First, it stimulates the olfactory bulb, which increases users’ sensitivity to taste and smell. This makes food seem more appetizing. Second, THC acts upon the hypothalamus to release ghrelin, a hormone that stimulates appetite.